In certain situations, and in the professional judgment of Dr. Chun, we sometimes make exceptions. It just depends on your unique situation. A typical visit will generally last about 15-20 minutes. However, every patient is unique, so the time we spend with each patient will vary. We believe that healthcare is not one size fits all, and we take pride in making sure that we evaluate each individual patient and provide them with customized care. 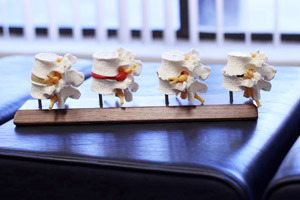 With the groundwork laid in the consultation and report of finding, we can quickly size up the condition of your spine and nervous system, adjust you and get you on your way. Call our Santa Clara chiropractic office today to schedule your appointment.